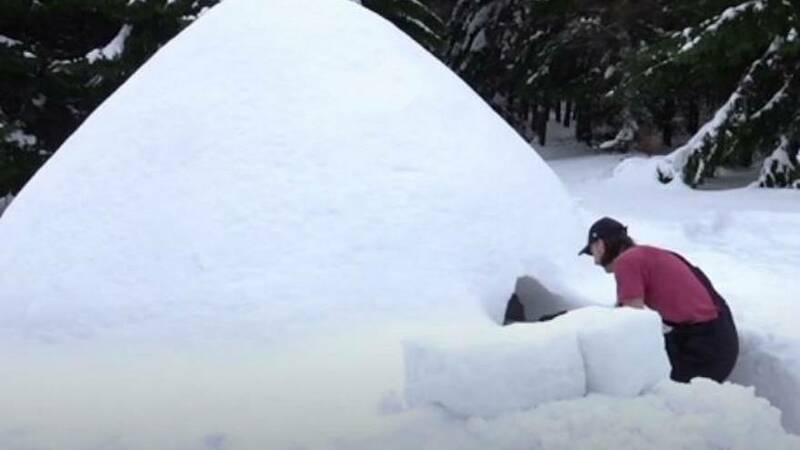 A Polish carpenter has fulfilled his childhood dream of building a life-size igloo. "I am a carpenter. I have a bit of imagination and somehow the work comes together," Grzegorz Karbowski said. He's already finished building his second igloo, atop a frosty mountain. The structure can fit furniture and up to 10 people inside. He's also attracted curious spectators who've been impressed by his creations. "My daughter wanted to see the igloo, so we stopped to see it. It is a very nice thing," one visiting tourist said.